Mission Viejo, CA – September 28, 2015 – CynergisTek, Inc. (OTCBB: AUXO), a leading provider of Managed Print Services (MPS) and IT Security for the healthcare industry, announced today a projected savings for its U.S. hospital customers over $80 million since 2004 by reducing print-related costs, improving process efficiencies and supply chain management. 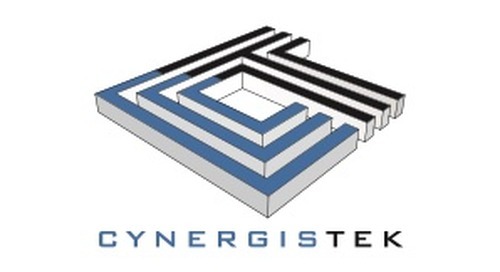 Since 2004, CynergisTek is the only vendor-neutral, healthcare exclusive MPS Company in the U.S., and its unique solutions are resulting in millions of dollars in savings for its customers. A typical 500-bed hospital spends more than $1.4 million to print 35 million pages per year. “To control these unnecessary and often hidden costs in the production of documents, it is imperative to manage the print workflow process and supply chain and service costs, which CynergisTek does at a guaranteed savings of up to 30% for our customers,” said Joseph J. Flynn, president and CEO of CynergisTek, Inc.
To gain these efficiencies and savings for its national portfolio of over 220 hospitals, the Company’s foundation of cost-cutting and volume reduction methodology is customized and includes placing full-time, on-site print management experts and technical personnel to drive operational efficiencies and lead sustainability initiatives. CynergisTek has been named a 2015 Leaders Index for MPS Channel Partners by Photizo Group. “CynergisTek is set apart from other MPS providers given its unique methodology in serving providers in the healthcare space. With its comprehensive, vendor-neutral program clients realize a host of benefits across the spectrum of cost-savings to compliance. It is this considerate approach that sets the Company apart as a leader time and again,” Ken Stewart, Vice President of Services, Photizo Group, Inc.
CynergisTek serves a national portfolio of nearly 220 hospital campuses and manages over 1.5 billion documents annually from over 90,000 devices supporting over 280,000 caregivers. CynergisTek’s Managed Print Services’ business model is vendor neutral, provides full-time, on-site customer service and technical experts and is exclusive to the healthcare industry. Through its Security Solutions Group, Redspin provides an end-to-end security offering that specifically addresses hospital security challenges or when a breach has occurred. The fully comprehensive portfolio of services and technology include HIPAA security risk assessments, penetration testing, process and program development, and a SaaS technology solution, Delphiis IT Risk Manager to more than 140 hospitals. This complete service offering is unique to the marketplace to ensure enterprise-wide security and improve patient experience through its ability to mitigate risk and improve efficiency across the hospital or health system.